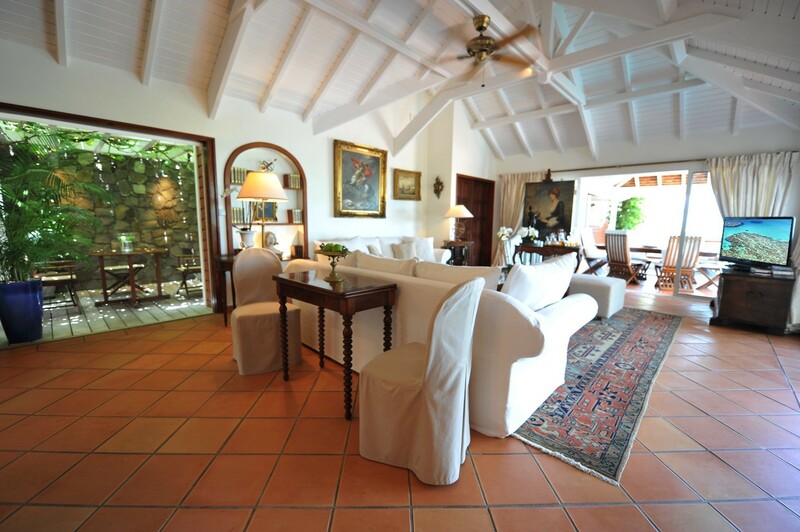 The utterly charming Villa La Belle Epoque is a one-bedroom property in the coveted Grand Cul de Sac area of St. Barts. It offers an enormous array of indoor and outdoor living spaces, making it the ideal romantic retreat or a remarkably luxurious base from which to hit the beaches, shopping, dining, nightlife and sightseeing that surrounds you. Many guests are astonished at the garden-like surroundings this little gem provides, as well as the spaciousness of the interiors. The heart of this property has to be the private pool terrace. Surrounded by a silky-smooth wooden deck it features a nice assortment of sun beds, lounging areas, benches and even some dining spots. With its potted palms, tropical trees, and flowers, it is a private paradise. The pool itself is also a delight as it sits directly next to the porch and serves as a perfect place to cool off, wake up or gaze at the stars. The portico features more lounging spaces in the cool of the shade. There is a full-sized lounge, a dining area and at the back of the villa is another trellis area beneath which a tiny al fresco dining spot resides. With all of the outdoor spaces, the interiors still capture the light and fresh air thanks to their high white ceilings and open floor plans. 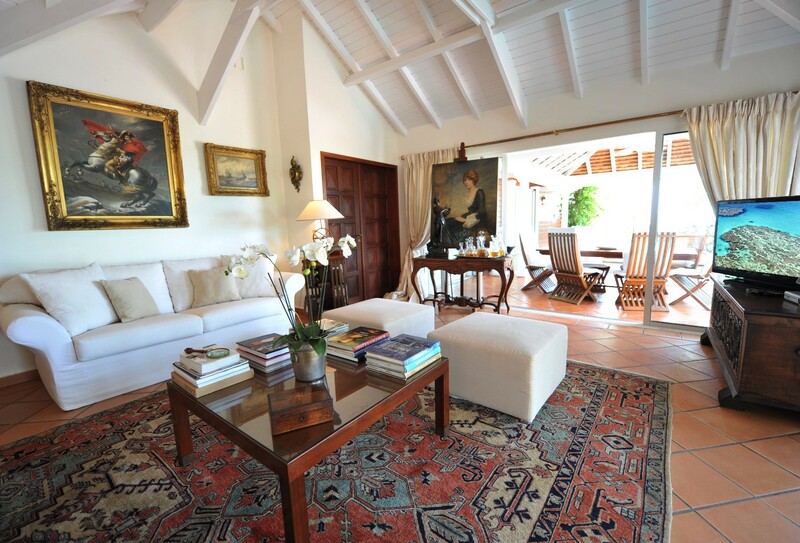 The great room features white sofas, colorful Persian rugs, and elegant Colonial inspired décor. There is the formal dining area, and just a few steps will take you to the country-style kitchen. Wooden cabinetry and modern appliances offer an ideal prep space for meals or snacks. Your romantic bedroom retreat features a king bed with canopy of netting. There is a small office space here and a large and luxurious bath too. The Villa La Belle Epoque is sure to please, whether you are on your own or with a partner, it is a perfect hideaway. I just want to thank you again for all of your help arranging our recent trip to St Barts. The villa was just lovely and everyone from your company was so helpful and kind. All of our requests were handled beautifully. I will definitely recommend your company to friends and family and look forward to working with you again on our next trip to St Barts. We will be back!